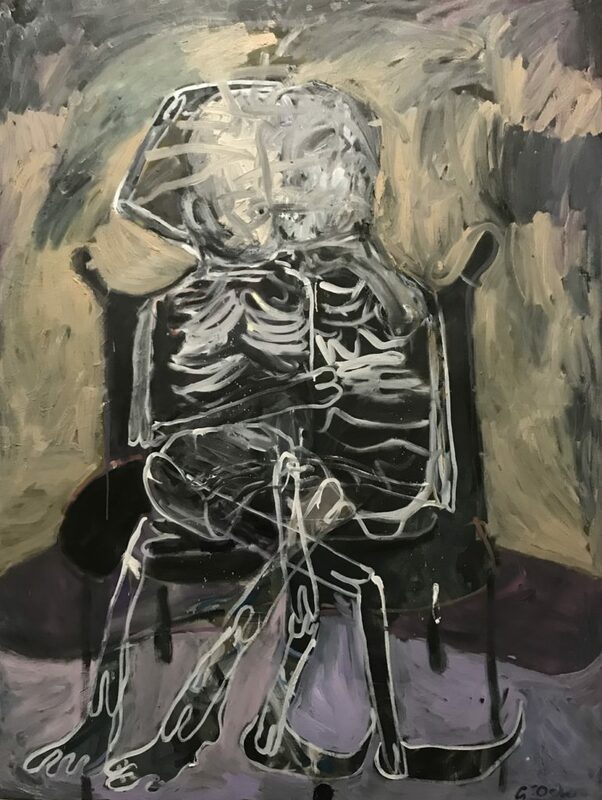 Abject Gallery is pleased to announce, “I felt bad but I feel little bit better now“, a solo show by Icelandic artist Georg Óskar. Georg Óskar is an Icelandic artist based in Berlin. 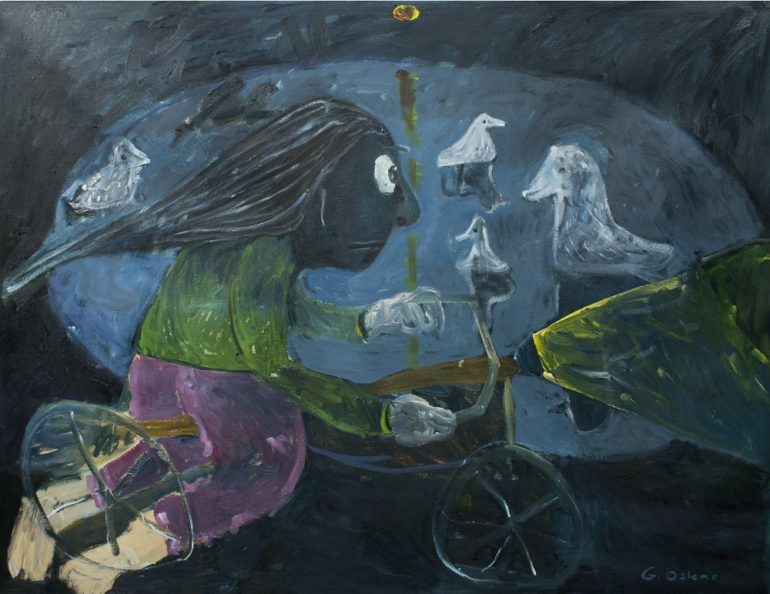 Figurative, often minimalistic and free from rigid structure, is an obvious and direct description of Georg’s paintings. From early on, Georg has been loyal to his original style and imagery. His intimate and honest relationship with the canvas indicates no holding back. Essential is the impetuous method of free-flowing colour and lines to grasp an exact moment of influence, as well as the passion of sharing stories and his peace of mind. He captures interesting events, fantasies or memorable situations from his own life, often under the influence of music and poetry. In Georg’s work, the individual is significant. Not just as a motive or a physical form, but a way to express thoughts and everyday wonderings. Generally, Georg displays his characters in solitude, as a part of an attractive nature, the usual surroundings of everyday life, or even in an otherworldly environment. Following completion of his MFA from the Bergen Academy of Art & Design in Norway in 2016, Óskar has exhibited Internationally in Spain, Germany, China, Switzerland, Norway and Iceland with upcoming group and solo Exhibitions in 2019. This will be Óskar’s first time exhibiting in the UK. The preview for this exhibition takes place on Friday 8th February 2019, 6pm-9pm.